OVERVIEW: “Uongozi” means leadership in Kiswahili, and inspiring and strengthening leadership is the core purpose of our organisation. 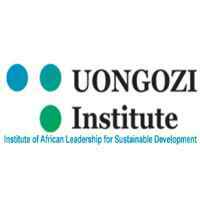 Based in Dar es Salaam, Tanzania, UONGOZI Institute is dedicated to supporting African leaders to attain sustainable development for their nations and for Africa. An African model of leadership is vital for achieving the most favourable development outcomes for Africa. The Institute is an independent government agency established by the Government of Tanzania and supported by the government of Finland.